Our company MIKO Hotel Services began trading in 2006; the company is currently one of the leading suppliers of premium quality products for hotels in Russia and CIS countries. The steady consistent increase in kitchen equipment sales necessitated the expansion of MIKO Hotel Services and the foundation of the company division - MIKO Kitchen Professionals. From year to year the company develops and improves, and is a reliable supplier of professional kitchen equipment of premium quality. Our company offers a wide range of products and a full package of services when selecting modern individual customized kitchens. Our kitchens meet the strictest requirements of all customers, such as global hotel networks and project engineers. 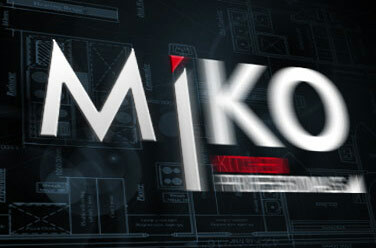 MIKO Kitchen Professionals delivers European manufacturer products, with an emphasis on German quality. When designing kitchens, our specialists take all your wishes into consideration. Our consultants are always up-to-date on the most modern and advanced technologies. This ensures that you obtain the maximum information regarding up-to-the-minute possibilities for your kitchen equipment. Turn to us for kitchen equipment of the highest quality, notable for reliability, functionality and performance. In our “Project References” section you can find details regarding recent projects. Under "Strategic Partners" you can find out about partnerships between MIKO Kitchen Professionals and leading manufacturers of kitchen equipment. In the "Contacts" section you will find details of our experts who are always ready to help and provide you with any necessary information in Russian, German or English.